"Whoever said ‘it’s all about the journey’? Nonsense! It’s all about the arrival, and it better be crease-free, crisp and fresh (we’re talking suits, by the way). These formidable Travel suits are tailored from Super 120s Pure Merino Wool 'sharkskin’, a subtle two-tone weave that adds depth and texture - with a half-canvas construction: perfect drape, impeccable shape and crease recovery for day-long sharpness." 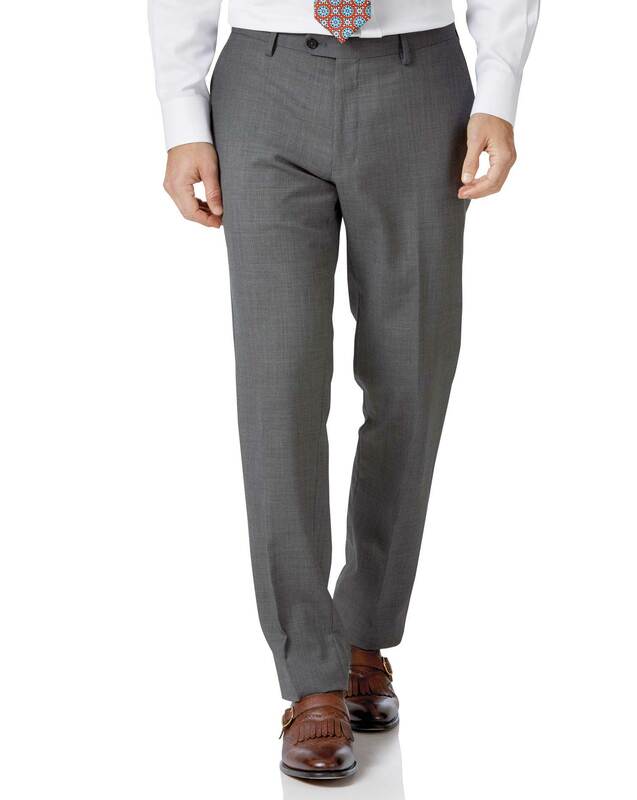 "Two-tone sharkskin-effect Super 120s pure merino wool fabric with crease recovery, tailored with a for impeccable fit and drape."